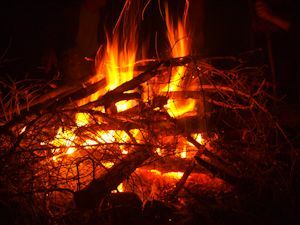 Join this fascinating celebration relating to the summer solstice when night is the shortest and the day is the longest. Participate in the fascinating rituals and customs connected with the beneficial role of water and with fire’s purification powers. Jump over the flames of bonfires to test your bravery and faith. At midnight go to the riverbank and float wreaths of flowers on the Narewka river – or if you are a man, try to capture the wreath and the heart of its fair owner as well! Finally, roam through the forest in search of the mythical fern flower and the power it brings to the lucky finder. You can do all this while listening to the traditional Belorussian folk groups singing (concerts from 9 p.m. till 3 a.m.). See another, pagan, side of the Polish culture! Starting time: July 7, 8 a.m.
Ending time: July 8, 8 p.m.
PRICE: 300 zł/person. Transport, accommodation, tour leader and personal accident insurance (NNW) included. Entrance and guide fees to the Strict Protection area in the Orłówka Protective District are included in the price. Other entrance fees are not included. Feel the weight of history in Treblinka, the site of two Nazi camps: the Extermination Camp and the Penal Labour Camp, covering jointly an area of 34 ha . The Penal Labour Camp was established in the summer of 1941 and operated till the end of July 1944. About 20,000 inmates were held in this camp, until 1942 most of them were Poles. In the Extermination Camp, built in mid-1942, more than 800,000 people were killed. In August 1943 the inmates organized an uprising. Of the 840 people held in the camp at that time only 200 victims escaped. After the uprising the camp was being slowly liquidated and ceased operations in November 1943. The open-air concerts start at 9 p.m. At midnight you can participate in the the wreath-floating and – if you have the courage – you can go looking for the fern flower. The music will be playing till 3 a.m.
Hajnówka – a small town situated on the west border of the Białowieża Forest. It is a prominent center of the Orthodox faith and Belorussian culture in Poland. You will be charmed by the Orthodox churches from the 19th century and the wooden buildings lining the Kosidłów, Warszawska and ks. Ignacego Wierobieja streets. 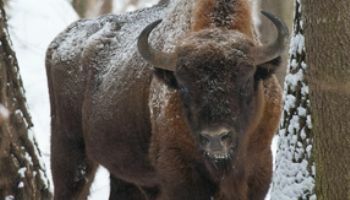 Bisons’ Reserve – the only place where you can be sure you are going to meet the king of the Polish forest, the bison! This Reserve is also home to moose, deer, boars, wolves, forest horses and other animals. guide. During a 3-hour walk through the primeaval forest the guide will tell us how the forest works, what roles specific parts of the ecosystem play and where to look in order to see a bison in its natural habitat. You can feel closer to your roots!